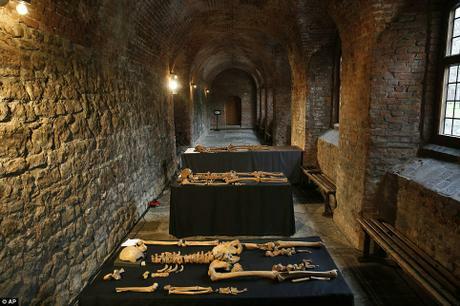 (LONDON) Studying 12 of the 25 skeletons disturbed by construction workers digging up an ancient monastery graveyard in Charterhouse Square, scientists reason (somewhat inductively) that the bubonic plague must have been airborne because it spread and killed so quickly. If true, the familiar “bubonic” may be renamed “pneumonic plague.” Siting one 1906 case in Suffolk in which plague killed a local family and helpful neighbor, Dr. Tim Brooks explains, “As an explanation [rat fleas] for the Black Death in its own right simply isn’t good enough. It cannot spread fast enough from one household to the next to cause the huge number of cases that we saw during the Black Death epidemics.” Pneumonic plague spreads through coughs and one’s infected breath. The Black Death traveled from Asia to Britain in fall 1348 and by the next spring had killed 60% of residents, approximately 75 million people. The prevailing hypothesis had been that the plague spread by fleas borne on the bodies of rats. Researchers compared bacterium Yersinia pestis DNA extracted from the skeletons’ molars to contemporary plague examples from a 2013 outbreak in Madagascar. Evidently surprising analysis showed the 14th century strain was no more virulent than today’s. Osteologist Don Walker details one man’s health and lifestyle by measuring his bone’s oxygen and strontium levels: he was breast-fed, was not a London native, had decayed teeth since childhood, worked as a laborer, and the bubonic plague killed him. “It’s fantastic we can look in such detail at an individual who died 600 years ago. It’s really incredible,” Dr. Walker exuded. Remains show another man was even a vegetarian, which suggests he was a monk. Skeletons were found interred in layers: the burial ground was used for three different outbreaks. Reusing plots, fascinatingly, shows that even as more than half of Britain’s population died of plague, they maintained social order for a while: the neat graves sealed with a layer of clay and laid down in rows contained bodies wrapped in shrouds. However, skeletons nearer to the ground’s surface, which were, buried later showed signs of upper body injuries, which indicates a time of battle and civil unrest. Notably, reports on the discovery of the Charterhouse Square plague cemetery do not actually argue the Black Death spread via humans; the assertion seems to be conjectural so far. 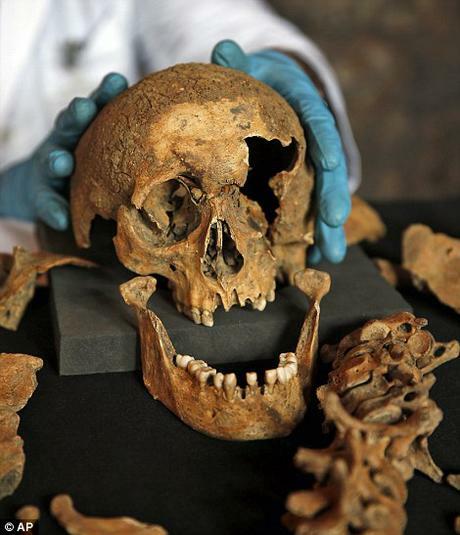 However, early studies show ancient plague is nearly genetically identical to ours today. Antibiotics currently kill plague bacteria.